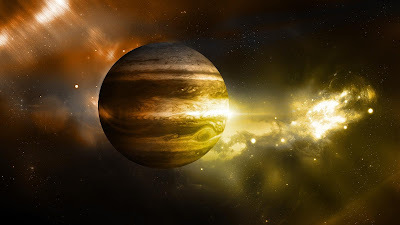 Jupiter Can Bring Happiness in Your Life - Check out How. Jupiter’s special treatment is done for peace on Thursday. Thursday is the day of lord deity Jupiter. Jupiter is the factor of marriage and luck. Thursday is also connected with Sai Baba. There is also importance of worshiping Sai Baba and Jupiter lord. Worshiping on this day fulfills desire of wealth, education and progeny. Worshiping on Thursday increases prosperity and happiness. Thursday fast is very important for unmarried people. It removes obstacles of marriage related problems. On Thursday, Lord Bruhaspateswar Mahadev is worshiped. One should do fast on this day and eat food only once. Wear yellow color clothes. The food should be made from horse gram. Do not intake salt in food. Worship lord Shiva with yellow flowers and yellow sandalwood. After that, listen the story. Jupiter will please with this fast. It is beneficial for good wealth and education. This fast is extremely beneficial for women. One can also worship banana. Give respect to Brahmin and take blessing from them. Donate horse gram and saffron in temple. Do saffron tilak on forehead. Donate knowledgeable books to qualified person. Take blessing from Kul Purohit and make donate as capability. Wake up before sunrise on Thursday. Keep a pinch of turmeric powder in bathing water. Light ghee’s lamp in front of lord Vishnu. Do saffron tilak. Chant “Om Namo Bhagawatye Vasudevay Namah”. Offer water to banana tree and worship it with lamp-incense stick. Chant Visnusahastranam. Offer gram laddoo to lord Shiva on Thursday to get rid of Gurudosh. It is also beneficial to listen Satyanarayan Katha. Donate yellow stuff on Thursday. Also, offer jaggery and horse gram. It is not auspicious to wash and cut hair on Thursday. There are astrology and scientific reason. According to astrology, Thursday is the day of lord Guru. He is the prime lord of progeny and knowledge. Cutting hair on Thursday creates financial and children related problem. According to spiritual point of view, it is the day of Lakshminarayan. Therefore, cutting hair on this day creates financial problems. It also increases obstacles in getting married. In astrology, it is not beneficial to cut the hair on Saturday, Tuesday and Thursday. According to scientific point of view, some special communication rays work on Saturday, Tuesday and Thursday. These rays are harmful for our health. Brain is the main part of the body. It is inside the head. The inside part of head is very soft and sensitive. Hair of the head protects from ray. Chant “Om Brum Bruhaspataye Namah, Om Gram Grim Grom Saha Guruvye Namah, Om Aem Shri Bruhaspataye Namah, Om Gum Guruvye Namah, Om Klim Bruhaspataye Namah”.